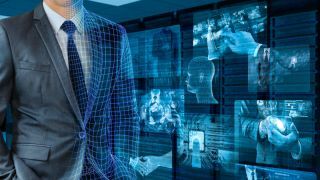 Businesses are entering the "third era of IT"
Digital transformation has reached a 'tipping point', report claims. Businesses are entering the “third era of IT”, where they’re no longer considering digital transformation, but rather think about implementing it and scaling, massively. This is according to Gartner’s latest report, the 2019 CIO agenda, which says that almost half (49 per cent) of CIOs changed its business model to support the scaling of digital initiatives. Gartner calls this moment the ‘tipping point’. And in order to scale, they’re seeking help from digital transformation consultancies, which created a sort of a paradox – digital transformation consultancies, that get called in for help with scaling – are having trouble scaling themselves. The global market for digital transformation consultancy has more than doubled in the last 18 months and is now hitting $44 billion, the report states. “As they grapple with the challenges of bridging the gap between client legacy systems and the flexible, scalable, live data-enabled applications that customers crave, they are seeing the advantages of low-code rapid application development to deliver customer solutions,” it was said in the report.